The T-shape musical fountain and water-scape area covers an area of approximately 17,940 sq yards. 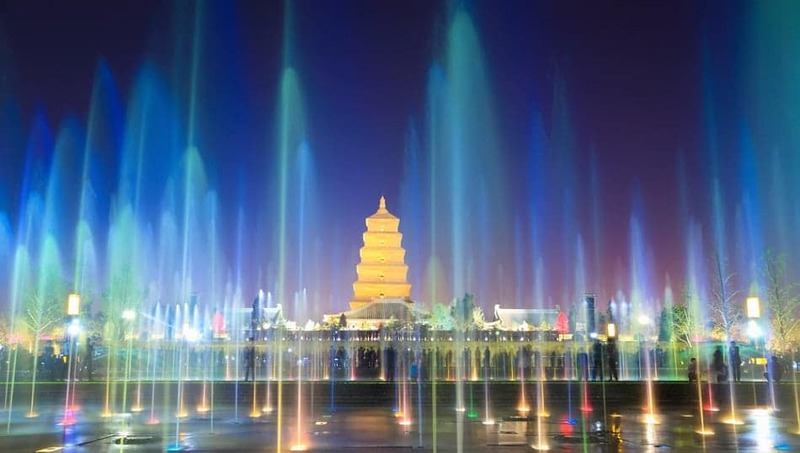 The fountain is divided into three areas: a hundred-meter waterfall pool, eight-level plunge pool and prelude music pool. When the music starts, the central area of the square is full of different shapes of fountain sprays showing 22 matrix patterns. The ‘Fire Fountain’ approximately 197 ft wide and 65 ft tall and “blows up” in the air.